The Book is divided into chapters like the Bandra Series, Celebrations & Festivals, Flora & Fauna, Office Humour, the Goa Series, Aamchi Mumbai, Sports, Short Stories even an Au Revoir Obituary Series! This latest offering of mine is a collection of anecdotes, essays, on my adventures, memoirs, travels, day to day interactions etc with one notable feature humour. 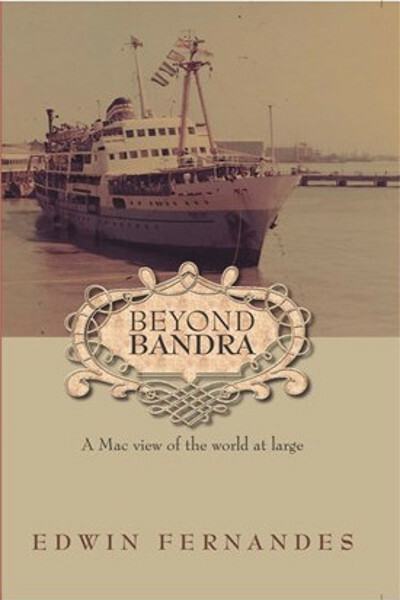 The Book is divided into chapters like the Bandra Series, Celebrations & Festivals, Flora & Fauna, Office Humour, the Goa Series, Aamchi Mumbai, Sports, Short Stories even an Au Revoir Obituary Series! Thus the Book has something for everyone. I have endeavoured to take you back in time to another era. when the Bandra Feast was a feast like no other when going to watch movies in the only English theatre in the suburbs ‘New Talkies’, was an adventure in itself, the series on Flora and Fauna introduces you to Eagles, Beagles, Geese and anything you please. Police Encounters is full of intrigue the games of our youth spinning tops, the adventurous travels by lazy sailing ships. I hope the repertoire is interesting and revetting. My intention is to make you “stop and stare” and laugh uninhibitedly. No situation is too grave or too serious not to see its funny side. That is my philosopy which has stood me well always. Edwin Fernandes is a wordsmith, a pun master and loves humor. His articles are always interesting and none may like to miss reading. He creates funny situations like Charles Dickens and narrates in a way which brings smiles to the readers. Even without a review Sulekhans will know how amusing his stories may be.